My kids are talking about garbage and recycling. 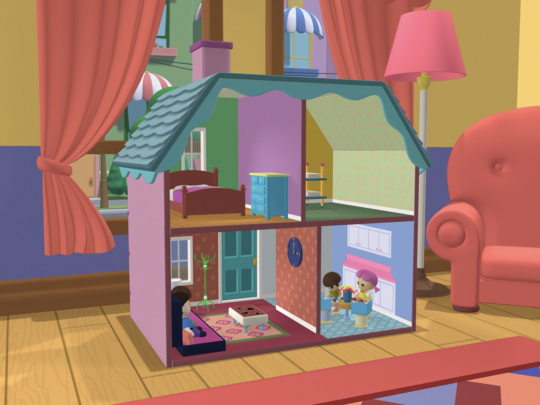 Fortunately for me, the video that we watch while I get the promo ready for nap, Handy Manny, had an episode where the magical, talking tools and their high owner (seriously, he thinks his tools are alive) made furniture for a dollhouse from trash! Yay! 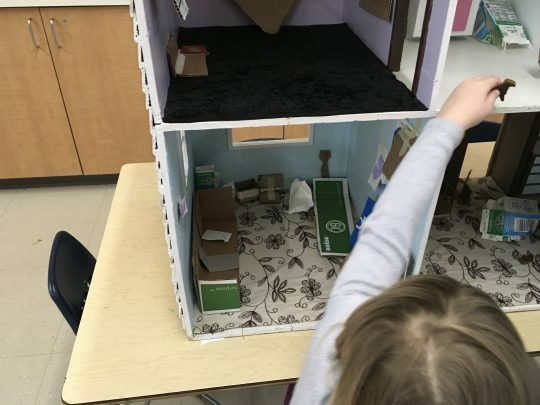 Fortunately for me, someone donated a dollhouse to the CDC this week! My life is as amazing as a doped-up handy man. 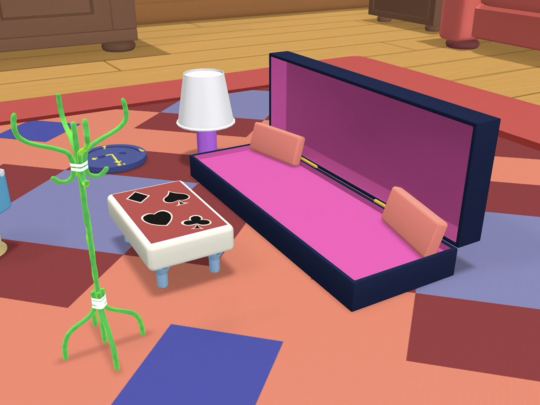 We rolled with it and made furniture out of garbage, which is my favorite thing to do in real life, too. I don’t remember playing with recycled items, but I did have some imagination playtime with action figures, and I’m sure various household items were involved. We really enjoyed giant boxes, like the ones appliances might come in.